Have you ever wanted to check out a restaurant but didn’t have anyone to go with? And what’s worse is that you’re shy and you wouldn’t be caught dead having a dinner by yourself in public? What about all that frustration from browsing through food delivery services? Well, now you can check out that taco place you’ve been dying to have with Bootler. Bonus points: there is an alcohol delivery as well. What’s unique about Bootler is that it provides main value propositions which is discoverability, efficiency, and best deal. 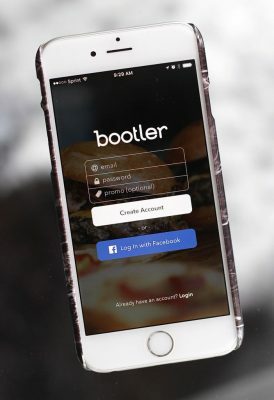 Bootler allows diners to view restaurants that work with online food delivery services all in one place, so you don’t have to browse all the different sites to find the restaurant that you want. It also provides a way for you to compare delivery fees, times and order minimums in real time. It’s pretty easy to use as well. Enter your address on the homepage and check out your search results. Enter a specific restaurant that you’re craving for, or if you’re like me and don’t know what you want to eat most of the time then you can also search by cuisine, price or ratings. 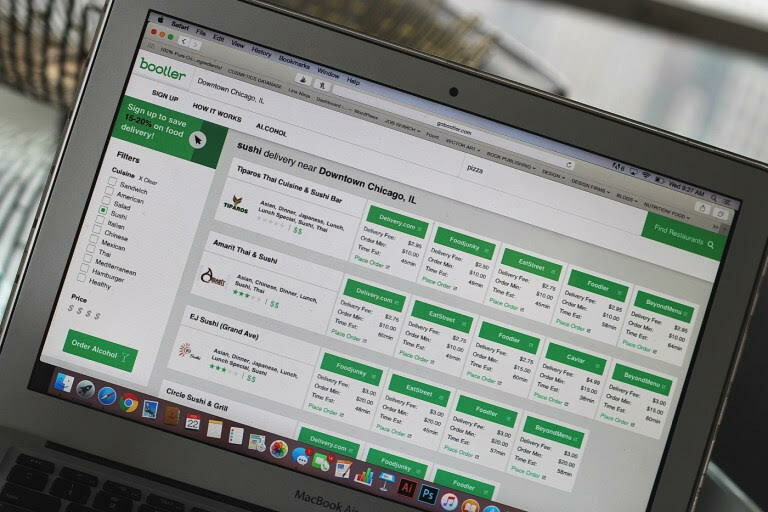 “Bootler breaks down delivery fees, order minimums and estimated delivery times for each service in real-time and shows how the total compares at each delivery service if multiple services are available,” said DiBenedetto. “Users that want to order alcohol with their meal in Chicago are passed along to Saucey to complete their alcohol purchase.” Don’t forget you have to be 21 years of age or older to order alcohol. Yes, they verify your age. Bootler is currently available in Austin, Chicago, Denver, Philadelphia, Portland and Seattle. “The future plans of Bootler is to continue to expand into more cities week by week and month by month and ensure the product is continuing to evolve as users’ preferences change,” said DiBenedetto. You can currently download it on both the App Store and on Google Play for both iPhone and Android. Dilara Kurtaran is a freelance journalist based in Toronto, Canada. She writes about anything from technology and beauty to hard news. If she’s not writing she is on the hunt to find another vintage book to add to her never ending collection.